NASA Earth Observatory image by Kasha Patel, using MODIS data from NASA EOSDIS/LANCE and GIBS/Worldview. Caption by Kasha Patel. 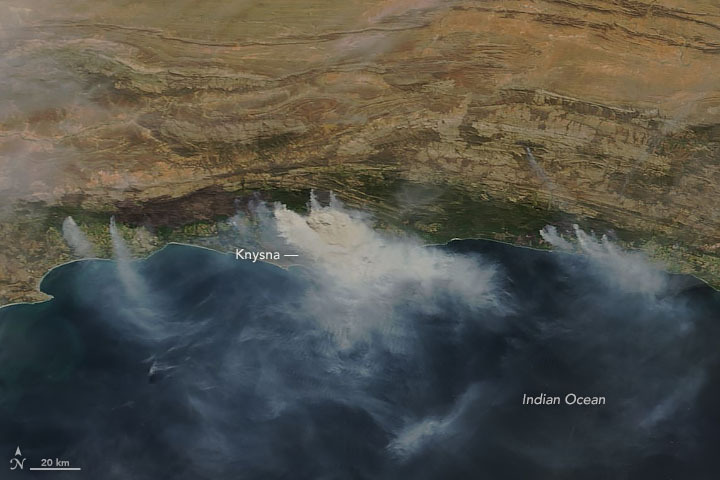 Large wildfires are spreading along the Garden Route, a popular coastal road trip destination in South Africa that includes more than 200 kilometers (120 miles) of scenic views, national parks, and beaches. 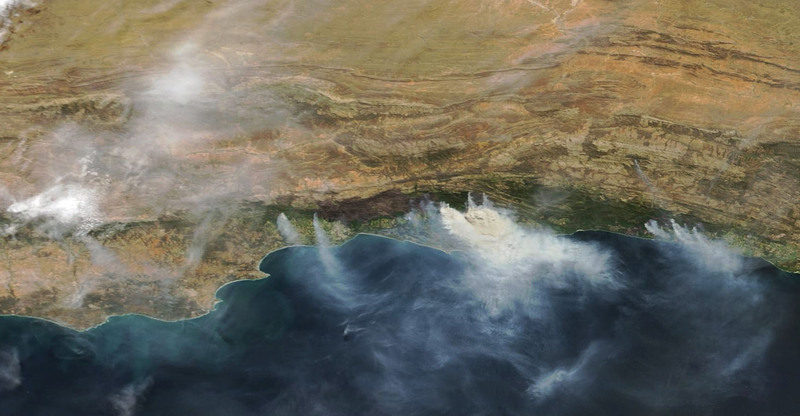 The Moderate Resolution Imaging Spectroradiometer (MODIS) on NASA’s Terra satellite acquired this image of the fires on November 3, 2018. The Garden Route fires have burned more than 86,000 hectares (332 square miles) of land from October 24 to November 5, with the number set to increase. News reports call this one of the country’s biggest fires ever to occur near populated areas. As of November 4, 2018, six major wildfires were burning in the Garden Route District Municipality.